Available with a wide range of engines including conventional hybrid, plug-in hybrid and mild hybrid variants. A rival to the Toyota RAV4 and Honda CR-V, the new Kuga will feature more technology including an eight-inch SYNC 3 infotainment system and 12.3-inch digital instrument cluster. There's added driver assistance tech, too, including a new Stop & Go adaptive cruise control system with lane-centring technology. Longer and wider than the current model, the Kuga offers more room inside for front and rear passengers. Despite being lower, it also has more headroom than before - while rear passengers can have heated outer seats for the first time. The rear seats can be moved backwards for extra legroom, or forwards to increase boot capacity. 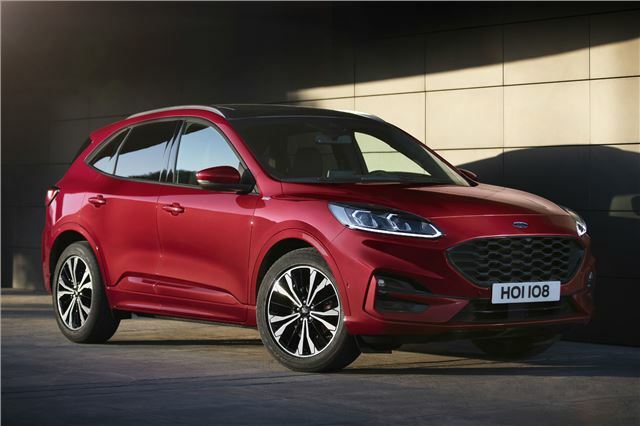 In typical Ford fashion, the 2020 Kuga will be available in a range of trim levels to suit every buyer - including Vignale, ST-Line and Titanium variants. The posh Vignale will come with various chrome highlights, 18-inch wheels as standard (19- and 20-inch alloys also available) and premium velour floor mats.